2017-18 GBA Registration – OPEN! Pre-Registration is OPEN for our Manhattan-based GBA ’18 Season! We had 80 teams last year and are looking forward to another great season this winter. The season runs: early start in mid December or in January after the break – you can let us know which you prefer. Season ends March 11 (latest – single elimination). Off for Christmas break and New Year’s. Off President’s Weekend. ON for MLK Jr Holiday. You can pick your weekends or work-around while registering. REGISTER and pay a deposit NOW to secure your spot. Email mo@momotion.org if you have questions. Here is all of the info in the meantime. • Boys Teams and Girls Teams – 10&U – $1,000 – at least 8 games guaranteed plus playoffs (winners and consolation if requested) Games are on Sat only 12-4 pm window for BOYS 8-10U, GIRLS play on Sundays 12-4 pm. It’s 4on4 on small courts in two gyms – great for the kids. • Boys Teams – 11&U-16&U – $1,200 for returners; $1,300 for new teams – at least 8 games guaranteed plus playoffs (only winners advance). Boys play mostly on Sundays, but we do have 4-7 pm time slots for some Saturday games. Boys Gr 7 we try to avoid Saturday games. • Girls Teams – 11&U-16&U – $1,200 for returners; $1,300 for new teams – at least 8 games guaranteed plus playoffs (only winners advance). Girls play on SUNDAYS only until playoffs when we need Sat-Sun. • All-Star Games – TBA – per board and financial approval. $200 Deposit is due by Nov. 1. Full fees due by Nov. 15. Schedule to be completed by Dec. 9. Teams should be ready to play the weekend of Dec. 13-14 on short notice. You’ll be able to register more than one team (grades 3-10/ages 9-16) and teams in different divisions once you’ve entered the system. Watch our 15-sec video Thank You & Highlight Reel from last season HERE. Boys 10U, 11U, 12U, 13U, 14U and 16U (no high school varsity players allowed) – Please make sure mo@gothambasketball.org knows your concerns. Girls 10U, 11U, 12U, 14U A and 14U B, and 16U (no high school varsity players allowed. On girls side with regard to varsity player status, it’s case-by-case basis, but only if the player is not getting in varsity games at school). 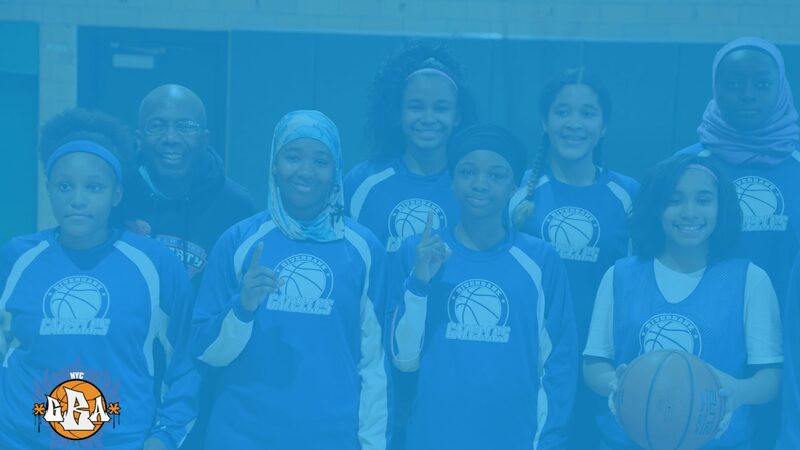 Note that the girls grade 5-6 grade 7-8 – usually there is a clear A and clear B distinction (email mo@gothambasketball.org with your concerns). For coaches and program directors who are concerned about their team being placed in the appropriate division, please note that as a league our goal is to provide competitive games each and every week. We understand that no kid benefits from being on a team that is consistently blowing out opponents or losing by wide margins. While this makes the scheduling puzzle much more difficult, we always put extra effort into the process. Prior to scheduling, we review all details you provide regarding the skill level of each team you are entering. We wait until all teams are filled in and combine your report on your team’s level with our knowledge on all participating teams in order to create the divisions, which may be split or altered depending on the number of registrations at each level. Even during the season, we review each weekend’s results for lopsided games and adjust the remaining schedule accordingly. If necessary, we add non-division games to provide additional competition or a needed confidence boost. It’s due to this last extra, extremely time consuming weekly review process that we ask for flexibility and patience around slight changes week to week and division make ups. If you need to pay by credit card, here is the link/online registration system to GBA 2017 Madness. PARENT-CAPTAINS or ASSISTANTS ARE ENCOURAGED TO HELP WITH THE SCHEDULE. MAKE SURE YOU EMAIL US WITH YOUR CONFLICTS AND PREFERRED DATES/TIMES. WE WILL DO EVERYTHING WE CAN TO MAKE IT WORK FOR YOU AND YOUR TEAMS, BUT WE NEED ADVANCE NOTICE. WE ALL KNOW HOW FRUSTRATING IT IS TO HAVE A CHANGE IN SCHEDULE AND HOW PARENTS REACT. We recommend that you provide us with a parent captain email in addition to a coach/program director so we can include them in any notification of changes. We’ve found that it decreases the chance of miscommunications. REGULAR SEASON: Starts weekend of December 11 through March 12 (finals). Off before Xmas, for NYs and President’s Weekend. Please spread the word to other teams. 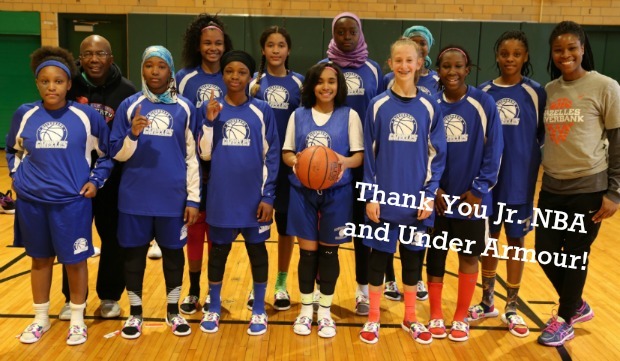 Thank you for your time and interest in gothambasketball.org. ⟵GBA Spring is OPEN! 40 teams so far!